The demand for farmers in Uganda to become forward-thinking has risen along with the demand for more productive agriculture as the population increases. In Uganda, e-agriculture is becoming a litmus test for industry development in terms of accessing information, engaging and applying lessons-learned to create more aware and productive farms. Agriculture has become highly encouraged in the country, by Government, development partners and civil society alike, with the new National budget providing tax exemptions on agricultural equipment that was once considered too expensive for small-scale farmers. Measuring the potential of e-agriculture in Uganda helps to consider the demand for advancement in this area, and the value chain that information networks are linking into. Many farmers are making a bold decision to embrace new mobile technologies like Wefarm, the world’s largest farmer-to-farmer digital network, which is active right in East Africa, boasting over 870,000 members across Uganda and Kenya. These types of networks give farmers tremendous power to access the information they need to increase their products faster and engage with other farmers. By embracing the latest mobile technologies, farmers are choosing to join a technologically savvy section of society, which many might assume is beyond the average rural Ugandan farmer’s grasp. Today, farmer groups can pool funds and buy this equipment. As more farmers desire to produce for commercial purposes and new farmers emerge, the hunger for farming information is increasing. With most agriculture taking place far from urban centres, it is becoming essential to building capacity for rural farmers to access information – like on how to manage pests, weather and market prices. This opportunity also applies to agricultural development. 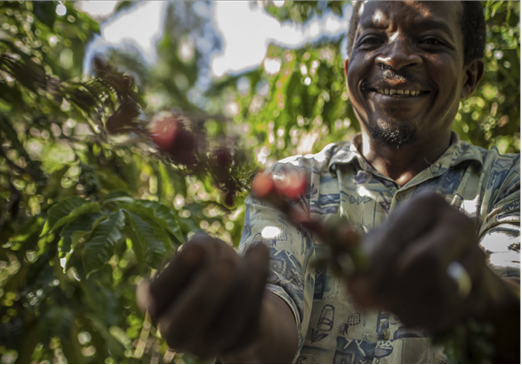 Uganda has a history of traditional farmer cooperatives and groups that help connect farmers to each other as well as to suppliers and consumers, allowing farmers to support each other in navigating the marketplace. The essence of this model is that farmers can help each other when they share ideas, experiences and knowledge about farming. However, farmers are spread over sparsely populated areas and groups may face limitations in equal access to information, communication, participation, management, leadership, corruption and limited funds for marketing and transport, resulting in limited profit margins when they sell their produce. The traditional set-up of farmer groups is now being supported by a new way for farmers to share information. By using their phones, farmers can now engage with open networks. 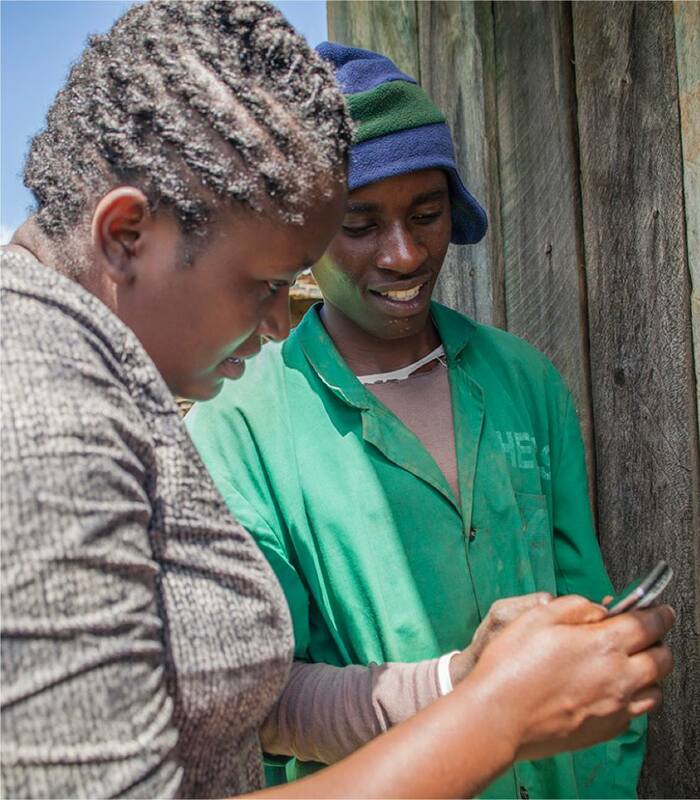 The Wefarm network – which has already answered nearly 2 million questions from We-farmers in Kenya and Uganda – allows farmers to ask and answer each other’s questions about farming through a free SMS system, which automatically filters and forwards questions to get quick answers from peers across the country, and does so in English, Luganda, Runyakitara and Kiswahili, with more languages coming. The most frequently asked questions on Wefarm’s network in Uganda are about rearing chickens, cattle and goats, as well as farming maize, tomatoes and beans. Questions shared and answered through Wefarm show that Ugandan farmers are commonly challenged by disease in cattle, as well as coffee wilt and banana wilt. Fellow farmers respond through their phones on how to overcome these common challenges. New technologies like Wefarm have become a formidable force to empower small-scale farmers. With the world’s population projected to grow from 7 to 9 billion by 2050 and climate change now an entrenched reality, increased pressures not only on farmers but also on the global food supply chain, will only persist. Farmers and businesses without access to problem-solving technologies and rich information sources are at risk of being left behind. 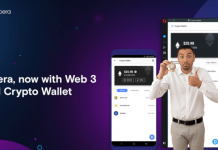 Wefarm has created a system with the amazing ability to connect farmers to each other online and through SMS. 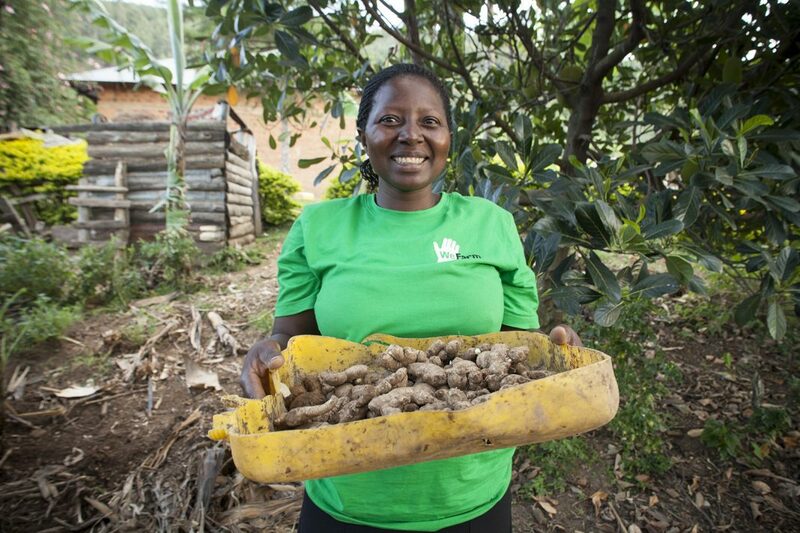 Wefarm developed its service offering, design and information architecture in conjunction with farmers in Peru, Kenya and Tanzania. This collaborative process enabled Wefarm to develop a service that applies globally, and they went on to further build the technology in Uganda, ensuring that it is directly relevant for and resonates with the local user. The Wefarm system is developed in such a way that it uses machine learning algorithms that are constantly generating new models to identify words in Ugandan languages like Luganda and Runyakitara and direct them accordingly. It even learned many different versions or possible spellings of common words in order to ease the inclusion of semi-literate farmers. The system uses Natural Language Processing (NLP) to determine the language, content, and intent of incoming messages. It then applies custom algorithms to identify users most likely to respond to a given question, thus managing any challenges of language barriers or Misinformation. With Wefarm, farmers can share and access crucial livestock and crop knowledge and vital pieces of information on how to improve their farm’s productivity or battle a disease without leaving their farm, spending any money, or having any access to the internet. Knowledge shared on Wefarm can help farmers produce higher quality produce, increase yields, gain insight into pricing, address the effects of climate change, source the best seeds, fertilizer, and loans, diversify agricultural interests, and more. Given their expertise, Wefarm discovered that farmers are highly skilled at picking the best advice most suited for their situation and context. 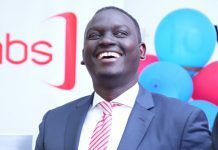 Since its founding in 2015, and the 2016 launch in Uganda, Wefarm has been named one of Africa’s Most Innovative Companies by Fast Company and has won Google’s Impact Challenge Award, TechCrunch’s Europas-Tech for Good Award, and the European Union Commission’s Ideas from Europe prize, among others. The company is headquartered in London with offices in Nairobi and Kampala.